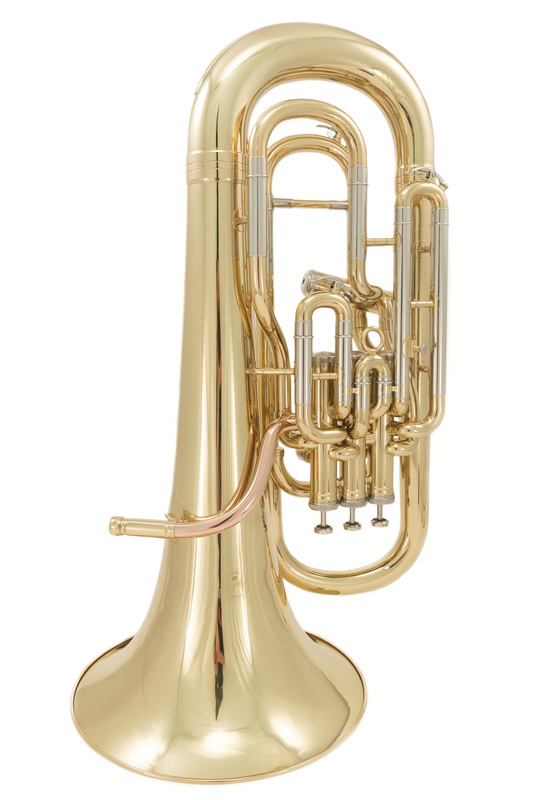 Newly designed compensating Euphonium with solid build, stable intonation and reliable valves. Designed with the advancing player in mind the WEP-300 4 Valve Euphonium offers great value for money on a large brass instrument. An excellent 4v compensating Euphonium for those wanting to upgrade on a student model but with a budget. For a mere fraction of the price of a Besson or Yamaha alternative you can still have the full spec but for a much more approachable price. Supplied in hard case with wheels and relevant accessories.